Print this Article Share with friends Bookmark to Favorites! 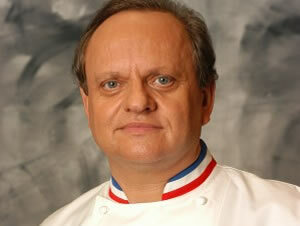 Wolfgang Puck is a celebrity chef (born in Austria - July 8, 1949). 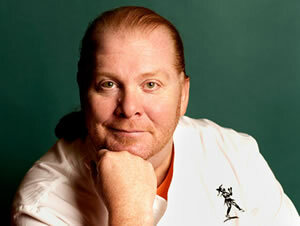 He's an Austrian-American television personality and celebrity chef. 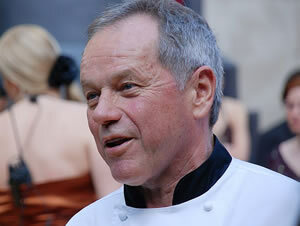 Wolfgang Puck wrote numerous cookbooks based on his the best recipes. Wolfgang Puck is synonymous with "California Cuisine," has worked the celebrity angle hard, his endlessly creative takes on a multitude of cuisines, from pizza to Asian food, still earn him the respect of the food world. 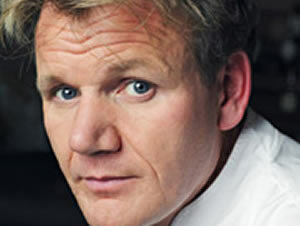 Wolfgang Puck can boast 21 fine dining restaurants around the nation, a TV career that has included appearances on Frasier, Las Vegas, and The Simpsons as well as a cooking-show Emmy, and lines of food products, cookware, and appliances (among them a coffeemaker and the coffee pods to go with it). According to Forbes magazine, Wolfgang Puck earned about $16 million in the year ending, as well as naming him one of the most powerful celebrity chef in the world. Wolfgang Puck's reputation is built upon his goal of culinary perfection. Wolfgang Puck never stops reinventing the international cuisine that he loves so much. 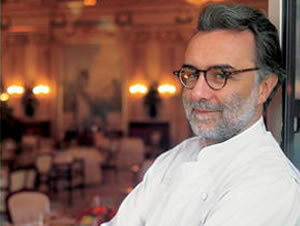 For him, gastronomy is a cultural gesture, a way of expressing a region and its identity. At its table you will find morel mushrooms, asparagus, cress, truffles and wild berries depending on the season. 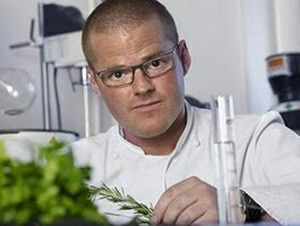 He reinvents a contempory cuisine inspired by tradition. Wolfgang Puck's restaurant has a modern interior without losing any of its charming intimacy. Be sue to take the time to discover this great gastronomic address! Cooking tips techniques for beginner and intermediate cooks by Wolfgang Puck. Discover the best cooking tips to make life easier in the kitchen! Celebrity Chefs are so influential and have great tips and recipes for easy every cooking that are easy to follow both for every day and for special occasions. * Approximately 30 minutes prior to grilling, prepare the charcoal fire so coals have time to reach medium temperature. At medium, the coals will be ash-covered. To check the temperature of the coals, spread the coals in a single layer. CAREFULLY hold the palm of your hand above the coals at cooking height. Count the number of seconds you can hold your hand in that position before the heat forces you to pull it away: approximately 4 seconds for medium heat. Position the cooking grid and follow recipe directions. * Never place meat directly over an open flame. An open flame is an indication of incomplete combustion, the fire will discolor the meat by leaving a black carbon residue on the meat. Actually an open flame has a lower temperature than coals that are glowing red. * Whenever barbecuing, use tongs to turn the meat. A fork should never be used. For it will punch holes in the flesh and allow the natural juices to escape and loose flavor and become chewy. * Tomato and/or sugar based BBQ sauces should be added only at the end of the grilling process. These products will burn easily and are seldom considered an internal meat flavoring. Once added, the meat should be turned often to minimize the possibility of burning. Award Winning chefs - We brought together world-renowned chefs tips to share their most innovative celebrity recipes and cooking tips.